Racism is a white problem. Yes, the nature of racism and the system of white supremacy is such that sun kissed populaces often experience the underside of the American democratic experiment, but, I maintain, racism is a white problem. Those accustomed to white supremacy are terrified by black political and cultural self-sufficiency. Part of what made the Black Panthers so terrifying was their lack of interest in what white folks thought of what they said or how they lived. A sure way to become divisive is to live in a way that centers blackness, not whiteness. What is ironic about this fear is that individuals who pushed back against white supremacy are the ones that moved America toward actualizing her ideals. Black folks advocating for the right to vote, to attend a desegregated school, to overcome housing segregation were all doing a service to this democratic experiment. Black Americans are a major part of why America has the potential to be great. You can have Abraham Lincoln and George Washington, give me Stokely Carmichael and Ella Baker. Some of the greatest Americans have been black men and women advocating and agitating for their rights. Yet, despite this truth, many today engage in practices that center whiteness. When we need the approval and validation of the dominant group in order for us to see our own work as valuable and worthy, we engage in a vicious form of internalized racism—one that centers whiteness even as we engage in the subversive work of expressing black brilliance. This begs the question: Do we have the ability to live free of white supremacist thinking? Can we see and appreciate black beauty without the oppressive lens of euro-normativity filtering our gaze? Are we able to validate achievement without whiteness as the standard for excellence? 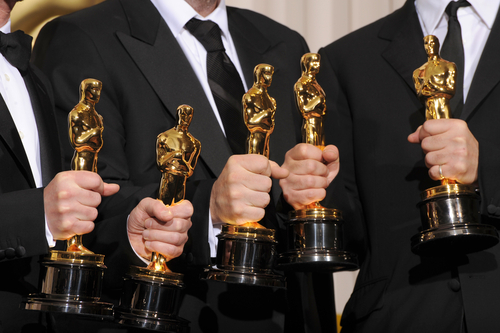 Of late, much attention has been paid to the racial homogeneity of the Academy Awards. For the second year in a row, the nominees in the major acting categories have been all white. There are calls to boycott the Oscars, and the hashtag #OscarsSoWhite has been trending now for months. This is reminiscent of a few years ago when there was outrage over Macklemore’s The Heist sweeping the rap category at the 2014 Grammy Awards. Many were critical of the Grammys because Kendrick Lamar’s beautiful, polyvalent Good kid, M.A.A.D. City was largely ignored. This did not surprise me. There is historical precedent of white folks being celebrated for appropriating black culture. That’s why Elvis Presley is honored and not Big Mamma Thornton. That’s why Led Zeppelin is celebrated while Muddy Waters and Willie Dixon are largely forgotten. That’s why the Beach Boys’s Surfin USA is cherished and Chuck Berry’s Sweet Sixteen is barely remembered. Most white Americans want a black sound and black culture without actual black people. Too often we sit at the door of White America asking them to recognize us. We perpetually celebrate the first of us that white folks allowed to hold a position. We are consistently outraged when white institutions do what they were created to do and marginalize people of color. We constantly demean and ghettoize the NAACP Image Awards, the BET Awards, and other spaces that have historically made room for and celebrated black brilliance. When you convey more worth to white access and recognition than you do to black affirmation, you participate in your own oppression. We need to support, protect, and prioritize those spaces that celebrate our blackness, not award shows that tokenize our culture. At the 2016 Grammy Awards, Kendrick Lamar’s To Pimp a Butterfly was recognized five times, but Taylor Swift’s catchy, yet shallow 1989 garnered her second Grammy for Album of the Year. While I’m happy for him, we should never use a white standard of excellence to assess black talent. TPAB, like Beyonce’s “Formation”, was not made for white people—and I do not expect White institutions to celebrate it. I am reminded of the words W.E.B. Du Bois wrote to eulogize the brilliant scientist Carter G. Woodson: “No white university ever recognized his work; no white scientific society ever honored him. Perhaps this was his greatest honor.” When white institutions fail to appreciate the work of black folks, we should not be outraged. We should consider it an honor.